On the first day that I arrived in Dublin, the city failed to impress me much because of its modest look — there were no skyscrapers, magnificent buildings nor stunning views. However, after three months living here, I find the city much more amazing and I am truly and deeply in love with the Emerald Isle. The city is covered by trees, canals and rivers. 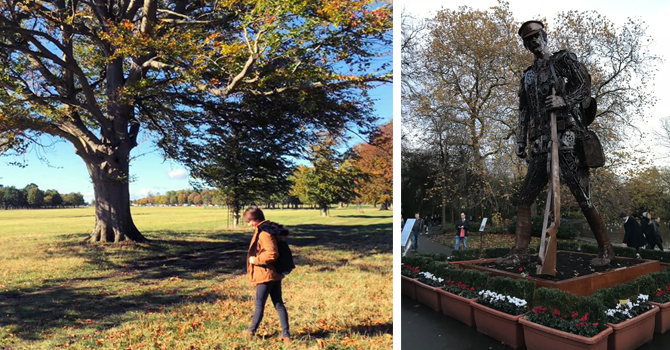 It’s barely any effort to find a lush, natural space in the heart of the city. 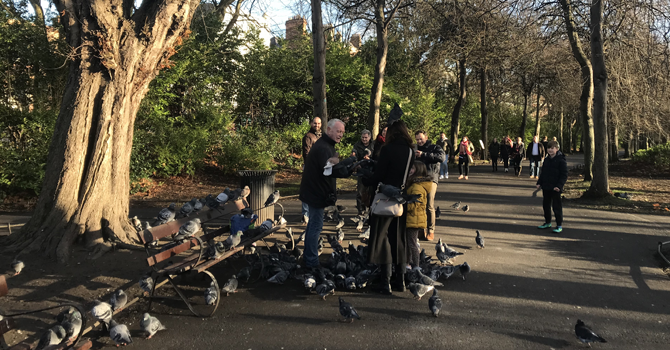 Aside from popular locations such as Stephen’s Green Park, the Grand Canal or Phoenix Park, you will sometimes find a “secret garden” that you would never have seen unless you were looking for it. They’re often too hidden and tranquil to be noticed from the outside. One day, I was so excited to learn about the existence of so-called Native Trees. I then walked a tree trail around College Park to identify 15 trees that have naturally grown over many years. It was such a great experience for a nature-lover like me. If you are too lazy to go to a museum, the city offers an alternative way to find out about its rich history and culture. Besides the prominent architectural buildings such as The Custom House, Trinity College, Christ Church, there is a variety of public art displayed on every corner that will trigger your curiosity. Some of the examples are the statue of James Joyce, Oscar Wilde, Molly Malone, the Famine Memorial, the Spire and more. 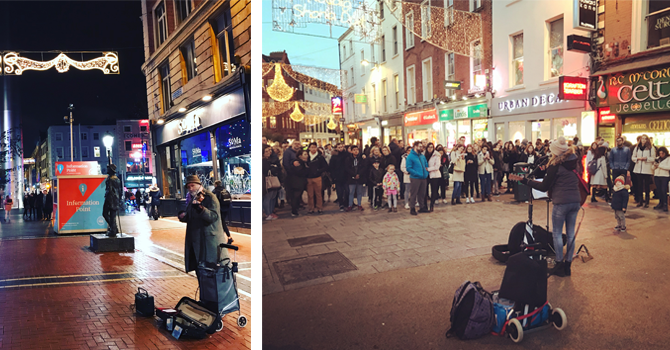 Dublin is very generous and provides many public activities that people can attend for free, throughout the year. 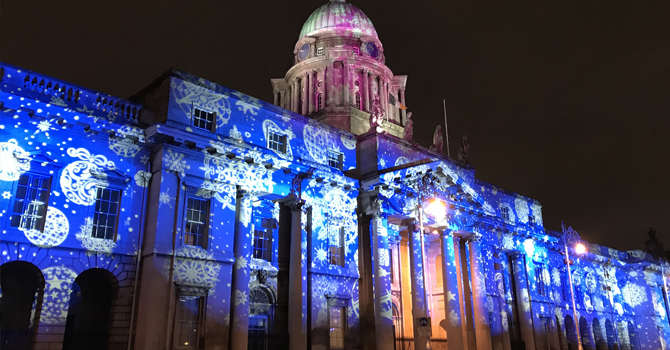 Even though I have just been here for three months, I have had great experiences in joining the parade for the Bram Stoker festival, celebrating Halloween and enjoying Christmas when the whole city sparkles with magical lights. The capital also offers world-class shows for those who love music and theatre. I have ticked off one of the top things on my to-do-list; watching Les Miserables in Bord Gáis Energy Theatre. It was fantastic and memorable. There are a lot more shows coming next year, including Macbeth, Hugh Jackman and Westlife. Dublin makes it possible for a last-minute person to have an unplanned yet wonderful weekend trip, as it is so close and convenient to get anywhere. It takes about one hour by bus to visit Wicklow or Howth and three hours to get to Kilkenny or Galway city. This is the benefit of living in a small country, where everywhere is accessible. The local people are very warm and truly care for you, whenever you need help. They love to communicate and share stories with people. As a newcomer, you will feel grateful for their hospitality. There is always something in this city that will make you smile. It could be the beautiful voices you hear from the various performers on Grafton street, the colourful doors of the Georgian houses or the wonderful choral evensong from St. Patrick’s Cathedral. 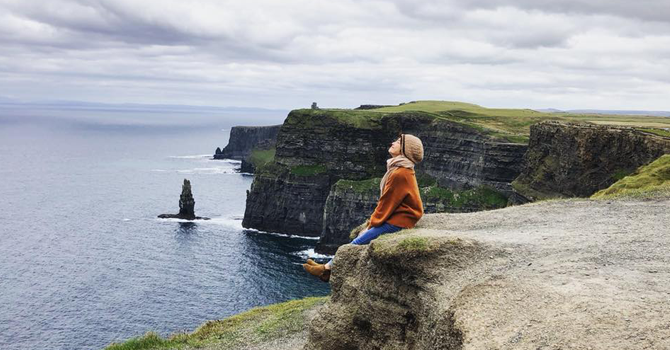 Dublin may not be as glamorous as other big cities such as London, Paris or Rome but the Emerald Isle, with its charm, poetry and modernity, will capture your heart — as long as you spend a little more time exploring and enjoying the sweetness it offers.